Prepare for magic, views, waterfalls, rivers, and backcountry lakes! What is so great about this Chilnualna Falls backpacking trip is it is away from the valley, which will mean a whole lot less people! This is an intermediate-strenuous level backpacking trip that won't disappoint and will leave you with memories that will last forever. Yosemite National Park has been a staple for backpackers, hikers, and travelers since the 1800's for a reason! John Muir said this about Yosemite, "It is by far the grandest of all the special temples of Nature I was ever permitted to enter." Come and experience what John Muir did. A 4 day backpacking adventure out and away from the Yosemite Valley means you get to experience the magic of this national park without the ridiculous and overbearing crowds that hang out in the valley. With record breaking snowfall this year, you'll experience gushing waterfalls, flowing rivers, and full backcountry lakes like never before! 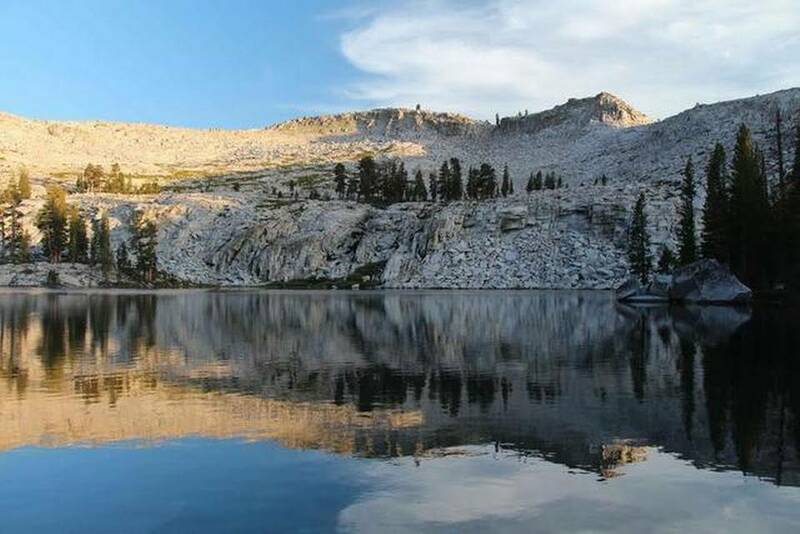 You'll get to see the Chilnualna Falls, Crescent Lake, Johnson Lake, and depending on time, Buena Vista Lake. If you have never been to any backcountry lakes, this will amaze you with serenity, peace, and untainted nature. We will be starting from Wawona, making our way towards the top of the Chilnualna Falls for camp. This will be a day for elevation, as will the next day, with a total elevation gain of around 4300 feet. Adventurers will be expected to carry around 30-35 pounds of gear including their own personal belongings. We are expecting to cover around 6-7 miles of ground per day with a grand total of around 27 miles. Cost: $499. $249 deposit due to secure your spot and the balance is due 10 days prior to the adventure date. This trip is limited to 6 adventurers. Sign up today to get your spot! Groups of 4 or more are just $449 each!